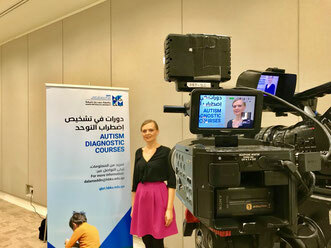 Research Study: Kamila Janik, Clinical Program Lead, is spearheading our participation in a new study which is going to be conducted by Dr. Fouad Alshaban and his team from Qatar Biomedical Research Institute on a topic of an innovative eye tracking device for screening and diagnosing Autism Spectrum Disorders (ASD). 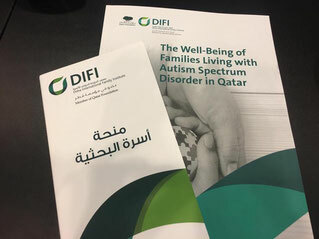 Children between the age of 3-15 who have a diagnosis of Autism or who have a sibling with a diagnosis of Autism Spectrum Disorder can participate in the study. Full details of the study, including a brochure, contact information, and consent forms (in English and Arabic) are available by contacting the Clinical Coordinators. 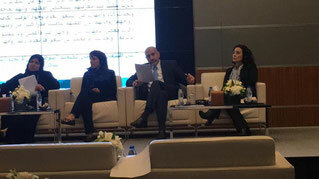 Doha International Family Institute, member of Qatar Foundation, held their first research policy forum on “Family Wellbeing in Qatar: Towards Evidence-based Family Policies”, which was held on February 26-27, 2019. Dr. Adrienne Robek was a panelist on a forum discussing support systems for families with children with autism. Click here to download the full report. Over the years one of our most popular and effective workshops has been “Managing and Making Sense of Challenging Behavior”. 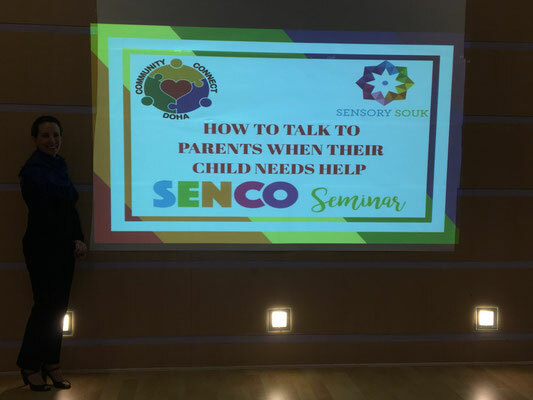 Dr. Adrienne Robek presented this workshop to an avid audience on March 15, 2019. 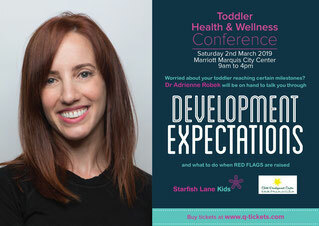 Dr. Adrienne Robek presented at the Starfish Lane Kids "Toddler Health & Wellness Conference" on March 2, 2019 on Development Expectations in the Toddler Years. Community Connect Doha and Sensory Souk in collaboration with Dr. Adrienne Robek hosted a great SENCO seminar on Jan. 19, 2019. Dr. Adrienne talked about what educators go through and gave beneficial advice on how to conduct a productive conversation with parents. 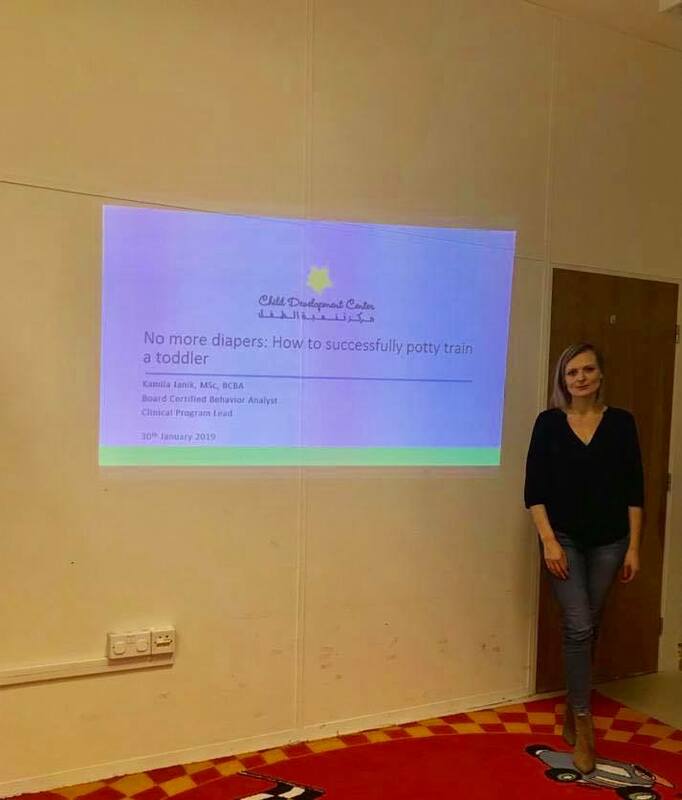 Kamila Janik presented a workshop on Jan. 30, 2019 entitled "No More Diapers" with effective toilet training techniques rooted in behavioral science. 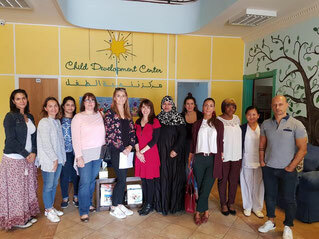 Strategies for assessing toileting needs, setting up the environment for successful toilet training, developing toilet training plans, implementation of research-based strategies, as well as tackling difficulties were discussed. 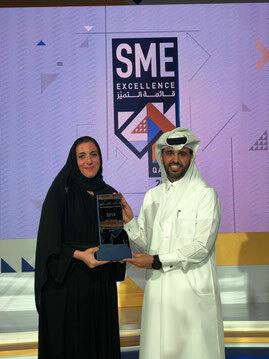 CDC Founder and Advocate, Hasna Nada, accepted the SME Excellence 2018 award presented by Qatar Development Bank to the top 50 small and mid-sized organizations in Qatar. 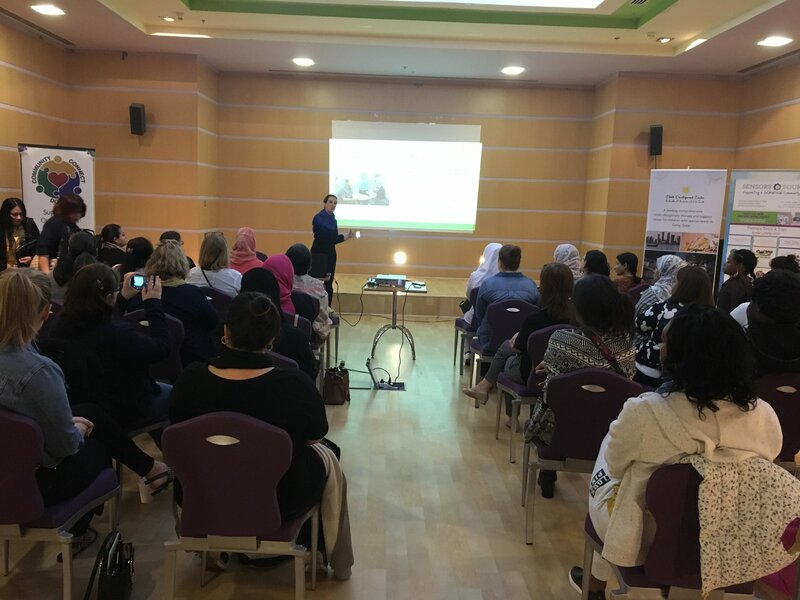 It is a testament to our center and dedicated team that work tirelessly on maintaining excellence in all areas; as well as a special honor for the vision of the founder and founding members who envisioned a special needs center beyond compare in Qatar. Diagnostics Training: Our Clinical Program Lead, Kamila Janik, BCBA, attended a training hosted by QBRI encompassing the administration of the Autism Diagnostic Observation Schedule – 2nd edition (ADOS-2) and the Autism Diagnostic Interview - Revised (ADI-R). 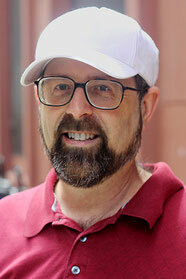 Click here to read the Qatar Tribune article. 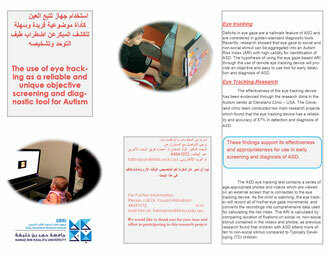 CDC will soon offer the ADOS-2 and ADI-R as a diagnostic assessment! 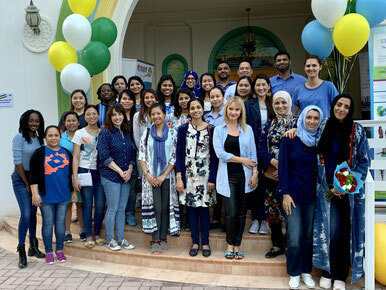 Research Study: CDC is honored to collaborate with Dr. Ghizlane Bendriss and her team of researchers at Weill Cornell Medicine - Qatar on a project examining the relationship between the gut and the brain. Adults or children suffering from one of the following: Autism Spectrum Disorder, Attention Deficit-Hyperactivity Disorder, Crohn’s Disease, Ulcerative Colitis, Celiac Disease, Irritable Bowel Syndrome, that are willing to participate in this research can do so with minimum time and discomfort. Click Here for details on participating in this study. 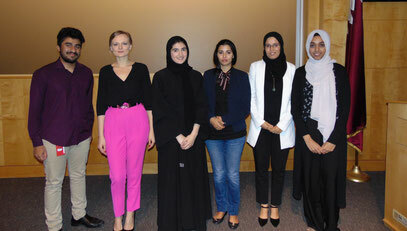 The panel of presenters from "The Gut, The Brain" presentation at Weill-Cornell Medicine, Qatar organized by Dr. Ghizlane. Our Clinical Program Lead, Kamila Janik, had a very informative presentation on the clinical perspective on feeding. 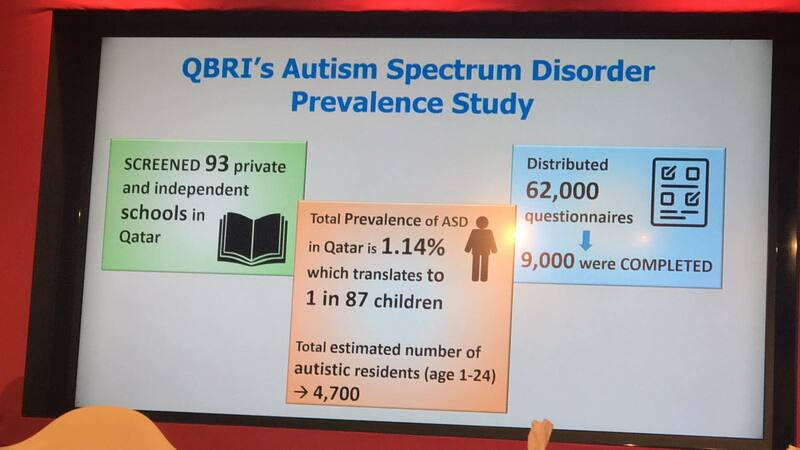 In The News: Al Jazeera report on autism features our Founder, Hasna, and her son. 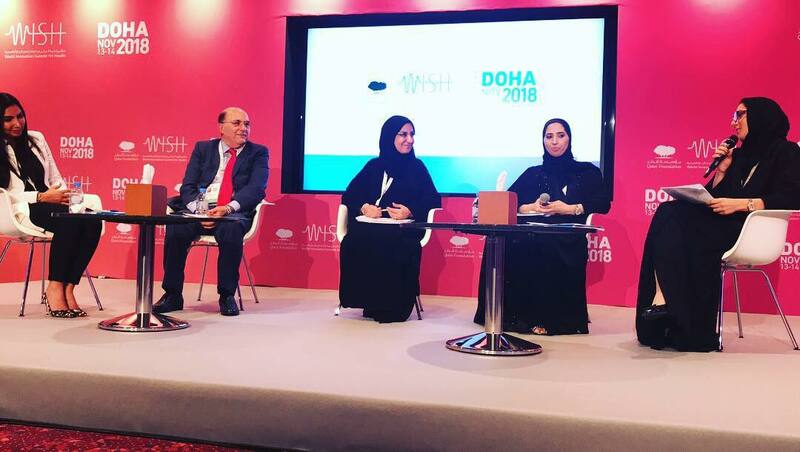 Researchers at the Qatar Biomedical Research Institute are testing a device that diagnoses autism in infants as young as six months old by tracking their eye movement. Qatar remains on the forefront of early detection research. Congratulations to our friend, supporter, and keynote speaker for our first conference: Dr. Stephen Shore on his appointment as a Board Member of Autism Speaks, the world's leading autism science and advocacy organization. Click here for the full article.